Salisbury CND hosted a truly fantastic visit of the tour. In the peace of the early morning, with the skylarks singing, the installation visited Stonehenge. Two iconic symbols shared the morning sun. 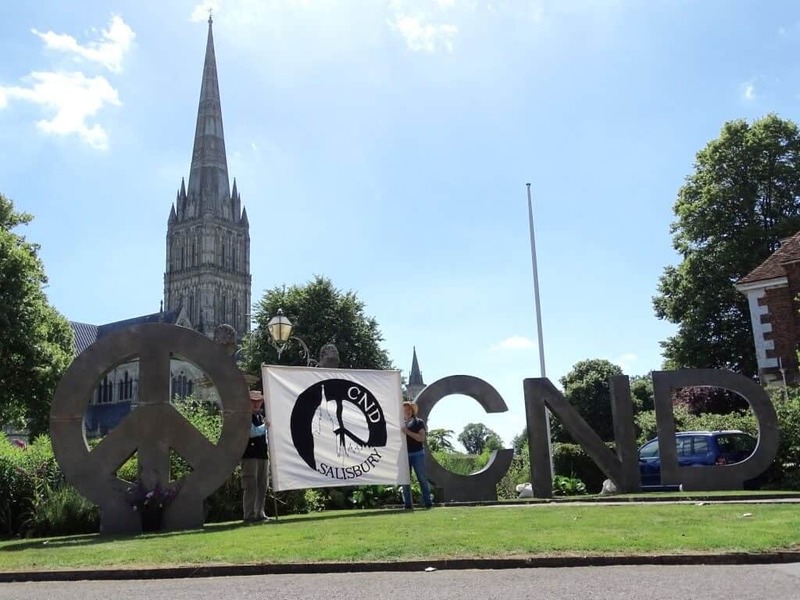 The symbol then stopped at Sarum College, outside Salisbury Cathedral where Salisbury CND arranged a peace vigil and public meeting with Kate Hudson (CND General Secretary). 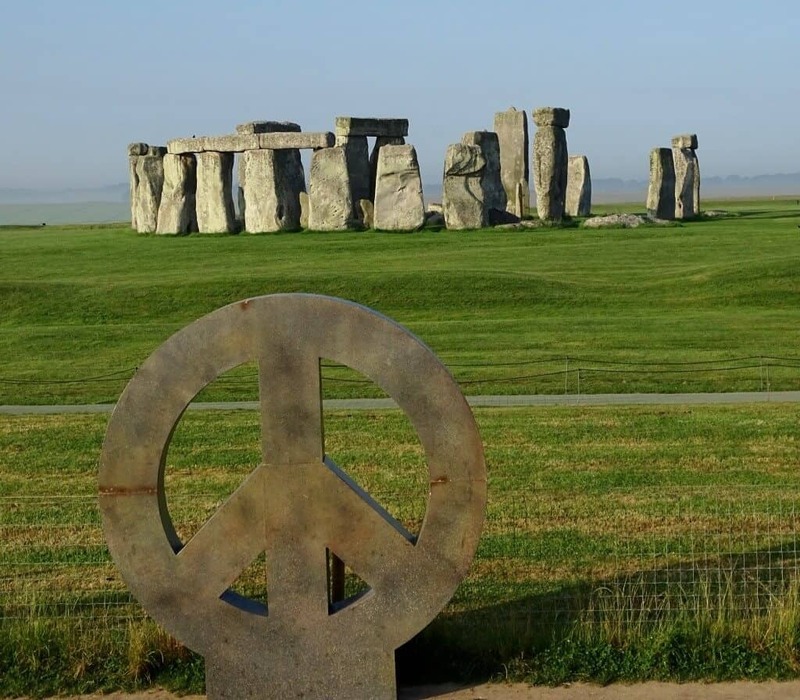 Have a look at Salisbury CND’s website for more photos and information, about both the Stonehenge and Sarum College stops. A huge thank you to Salisbury CND for hosting a leg of the tour. If you would like to get in touch with the group, you can phone 01722 321865 or email c.lanyon@btinternet.com. You can also support the tour with a donation.